On the agenda for March: 5 grand evenings with Le Dîner en Blanc! The magic is happening in Latin America and Oceania with the second editions of Monterrey in Mexico and Tauranga in New Zealand, the 4th edition for San José in Costa Rica, the return of Mexico City and the 5th anniversary for Auckland! The 2016 inaugural event took place in November at the beginning of the dry season. As the sunset is quite early at that time of the year, guests were not able to take full advantage of the view from the Mirador Obispado Asta Bandera. 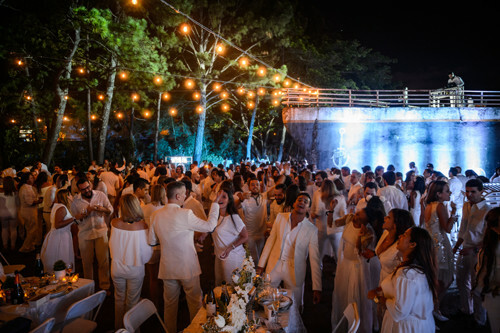 To remedy the situation, the hosts of Le Dîner en Blanc – Monterrey made the decision to skip a year and come back later on during the dry season to fully enjoy a beautiful evening with the surroundings. 2nd edition of Le Dîner en Blanc – Tauranga! The 2017 first edition had a promising start bringing together more than 400 guests on an idyllic beach at the foot of Mount Maunganui in Pilot Bay, one of the most prestigious places in New Zealand. What other magnificent venue does the Hosting Team have for 2018? Mum’s the word from Tauranga! For all the info, visit tauranga.dinerenblanc.com. Last year, guests of Le Diner en Blanc - San José, Costa Rica gathered at the Titanic Children’s Museum for a fabulous night under the stars. Once again, the hosts have searched through the city and its surroundings to find that perfect site for this 4th edition. For more information, visit sanjose.dinerenblanc.com. March 22 – The Return of Mexico City! The concept and tradition of Le Dîner en Blanc is strong in Mexico and especially in its capital. In the space of 5 consecutive years, Le Dîner en Blanc – Mexico City won the hearts of thousands of enthusiasts. In 2016, after a 5th edition where 5,000 guests celebrated on a rather chilly November evening, the hosts made the decision – just like Monterrey - to skip a year and return at the beginning of the dry season. Mexico City is full of prestigious sites and so far, guests of Le Dîner en Blanc have had the chance to enjoy evenings in secret locations such as Plaza Tolsá, Lago de Chapultecpec, and Plaza de Santo Domingo. We cannot wait to see what magical place the 6th edition will take their guests to. Want to see it with your own eyes? Sign up now to the waiting list at mexicocity.dinerenblanc.com/register. March 24 – Auckland 5th birthday! 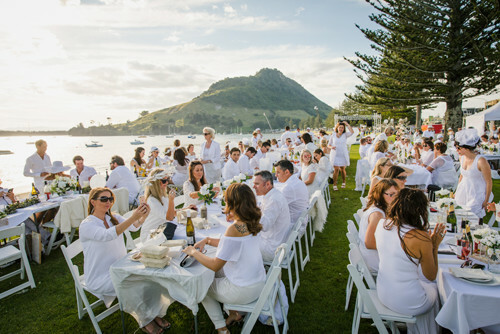 Dîner en Blanc – Auckland’s hosting team is preparing the 2018 edition with even more passion and eagerness than any other year because they will soon celebrate Auckland’s 5 th anniversary! Organized by Vinny Sherry, the Campbell+Co team is proud to be a part of the international movement that is Le Diner en Blanc. They are also very proud of the fact that the people of Auckland have answered with so much enthusiasm to this unique experience since its first edition in 2014. A first edition full of challenges since it was postponed because of a cyclone! What surprise will they have for us this year? If you want to come make a toast to this 5 th year you can already sign up for the waiting list at auckland.dinerenblanc.com/register.